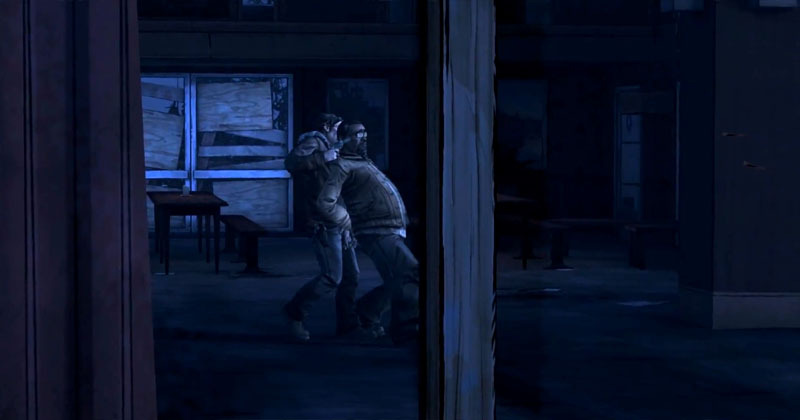 A House Divided is the second episode of Telltale Games The Walking Dead Season 2 and it’s a direct continuation of the first episode, where Clementine got separated from her friend Christa and met a new group of survivors. The beginning of the second episode depends exclusively on the last choice made in All That Remains. That same decision, saving Nick or Pete, will generate a different start and some other minor events. The new episode is filled with stunning revelations and intriguing choices that hold profound consequences. In fact, A House Divided is an episode dedicated to choices – with so many dilemmas and divergent opinions, players are forced to step up and make their own path. 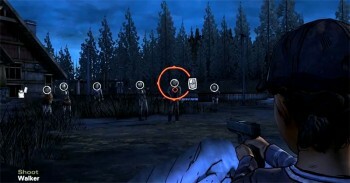 The most intense action moment happens at the end of the episode, when the windmill malfunction triggers a walker invasion. Episode two continues to deliver a dynamic and interactive gameplay, where decisions really matter. A House Divided is extremely focused on the narrative and the power of decision. As so, action and combat encounters are mainly secondary and symbolic. There’s definitely a huge discrepancy between playable and cinematic moments. However, this is one of the main characteristics of an episodic graphic adventure game and I’m just glad Telltale Games has done it right. The gameplay is fluid, thrilling and exhilarating. And even if playable moments are not as common as I’d wish, the episode just feels right – it has cohesion, consistency and realism. Unlike the previous episode, A House Divided has less loop holes and surreal events. Conflict reigns the second episode, even crossing a bridge generates divided opinions among the group. Drama and traumatic moments have always been part of The Walking Dead franchise and in this new episode things start to get really ugly once again. Clementine had found a new home in the last episode but now she’s on the run again. But this time she has company, the cabin group hits the road to escape Carver and a whole new adventure begins. A House Divided presents a narrative replenished of multiple rise-up and consecutive fall down moments. And between revelations, discussions, disagreements and betrayals the story couldn’t go on without a few tragic deaths. In my opinion, the whole narrative has become more interesting, realistic and profound. Clementine becomes the group’s recon, since she is smaller and has a tremendous agility. Innovation seems to be one the main keys in A House Divided with the introduction of several new playable elements. 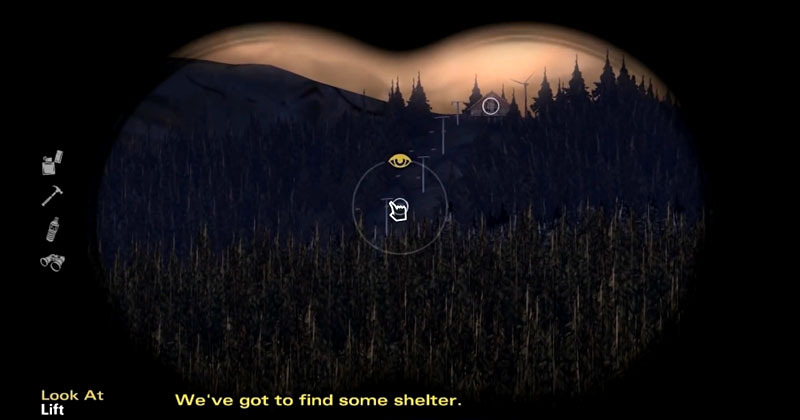 Surveilling the area with a pair of binoculars or having the chance to use different environmental weapons at a specific time surely gives a new whole touch to the gaming series. The game has become more customizable and unique – players’ choices don’t just affect the storyline, it also creates a sensation of power, possession and control. The second episode ran almost perfectly. I’ve played it twice and I’ve only experienced one crash. Despite that little incident, the game runs very smoothly and efficiently on maximum resolution. I didn’t find any bugs or errors. Before the ending of the episode, Carver kills at least one survivor. I must confess that A House Divided surprised me in a good way. The first episode of this season started in a mediocre way, there were endless unrealistic aspects and the story itself was a bit too mainstream and predictable. Now, it seems the story is back on track and Clementine is far from finding safety and a stable shelter. She’s in trouble, as well as everyone else related to her but at least, divergences can be put aside now. With Carver and his group as the prime enemy, they must unite forces to escape and survive. 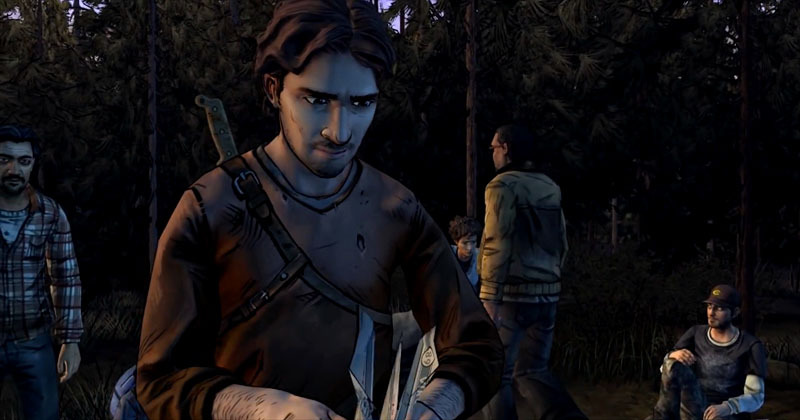 Let’s hope Telltale can keep the standards high for the following episodes, because this one was surely an astonishing result. Pros: Choices that really matter; thrilling and realistic post-apocalyptic narrative. Cons: Lacks action and combat encounters; short playable moments.